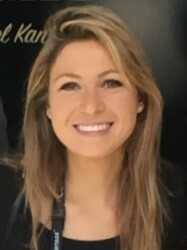 Miriam is a President's PhD Scholar (2016 - 2019) at Imperial College London's Center for Environmental Policy, pursuing a doctorate supervised by Karen E Makuch. Her research focus is international regulation of shale gas extraction, and environmental and public health impacts of hydraulic fracturing in the USA, UK, and EU. She recently spent time as a visiting researcher at the Environmental Law Institute in Washington, DC. Miriam received her MSc in Environmental Technology (with Distinction) from Imperial College London and BA in Geography and Earth Science (with Distinction) from McGill University in Montreal. She has studied at Sciences Politiques, Paris, and at the University of Florence. Prior to beginning her PhD, Miriam volunteered at a sea turtle rescue center, conducted research at the Weizmann Institute of Technology, and interned at the London Natural History Museum’s Core Research Labs. She is co-founder of the non-profit Amir D. Aczel Foundation for Education and Research in Science and Mathematics, Inc.
She currently works as an academic tutor for Mansart Education Ltd. in London and volunteers as a research adviser and reporter with Leaders in Energy (LERCPA) in Washington, DC. She speaks fluent French, Italian, and Hebrew.